If you're really worried about someone stealing your phone and then making loads of calls on your dime, you probably want some security on there. Like a lock code, which basically all phones have. If that's not good enough for you and you won't feel secure until you can't make a call without sticking your phone up to your face and taking a picture of your eye, good news! 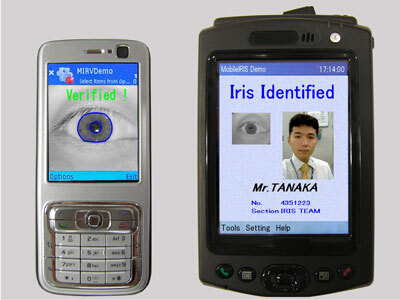 OKI of Japan has just created software that locks your phone until your iris is recognized. Look for it to hit the phones of paranoid idiots everywhere come next March.